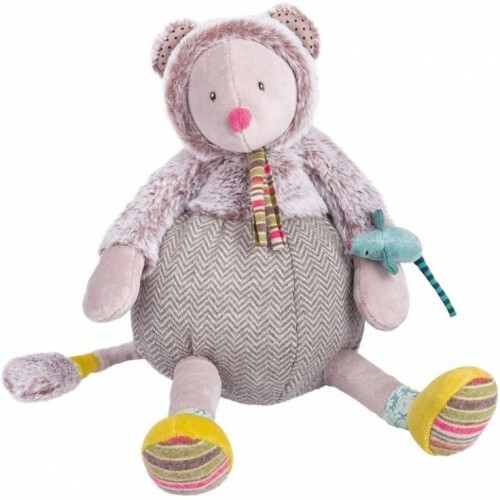 One look at this plump mouse and you might get the impression that he’s trying to disguise himself to look more like his cat-friend Chubby Chacha! Featuring an incredibly soft upper body and patterned bloomers on bottom, he even carries his own little rodent companion. The disguise is sure to keep this mouse safe around his mischievous, and hungry, Pachat friends! Measuring 13-inches tall, he makes a perfect playmate for tots aged 1+.